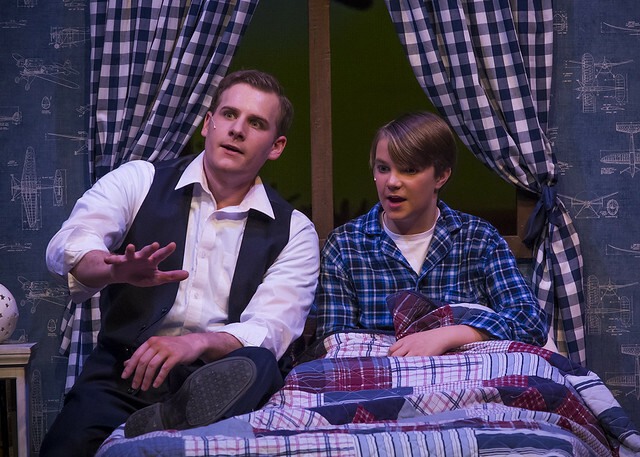 Auburn University’s Department of Theatre in the College of Liberal Arts opens the new year on the Telfair Peet’s Main Stage with the fantastical musical “Big Fish,” book by John August and music and lyrics by Andrew Lippa. 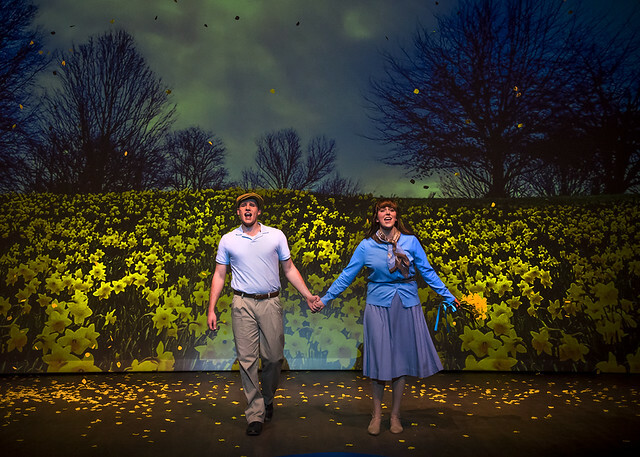 “Big Fish” opens Feb. 14 with performances through Feb. 24. Based on Daniel Wallace’s 1998 novel and Tim Burton’s 2003 film of the same name, “Big Fish” tells the incredibly tall, musical tale of Edward Bloom, an Alabama traveling salesman with a rather heightened flair for the dramatic. While his son struggles with the veracity of his father’s stories and the outside world threatens to intervene, Bloom recounts his larger-than-life, romantic and epic journeys complete with witches, circus cannons, giants and werewolves. Through Bloom’s tales, “Big Fish” reminds us of the importance of stories, of family, and of community while celebrating life well lived. As part of our season celebrating the bicentennial of Alabama, this musical embraces Alabama and its rich and varied traditions of storytelling. 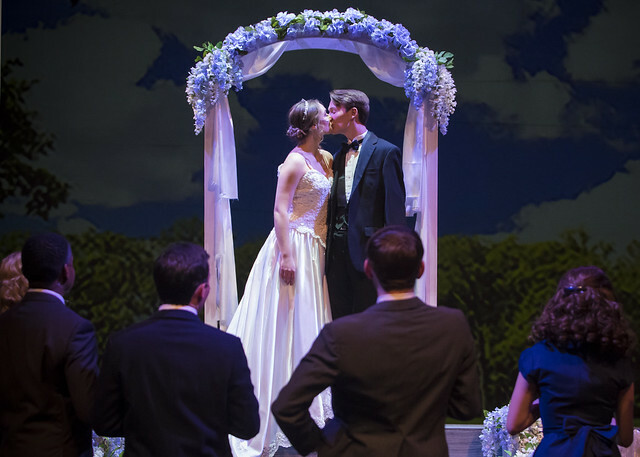 Even more specifically pertinent to our community, the musical, in part, takes place on Auburn’s own campus with a pivotal scene just outside of Samford Hall. It’s a rarity in musical theatre for a piece to have a collegiate setting and even more special to have this musical pay homage to Auburn in this unique and moving way. “Big Fish” also welcomes back Auburn Department of Theatre alumus Benjamin Strickland ’17 in the starring role of Edward Bloom. 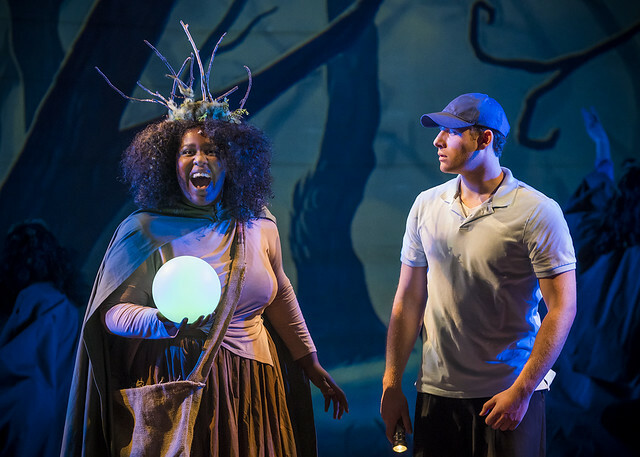 Strickland returns to Auburn in the midst of a successful performance career in Atlanta that has found him in productions of “Mamma Mia” and “The Hunchback of Notre Dame,” among others. The artistic team for “Big Fish” includes direction by Charles Bringardner, music direction by Elizabeth Benson and Jamie Mablin, choreography by Jeri Dickey, costume design by Tracy Oleinick, scenic and lighting design by Fereshteh Rostampour, projection design by Fereshteh Rostampour and student Devin Stephens, wig design by student Jessi Rogers and guest sound design by Anthony Narciso. 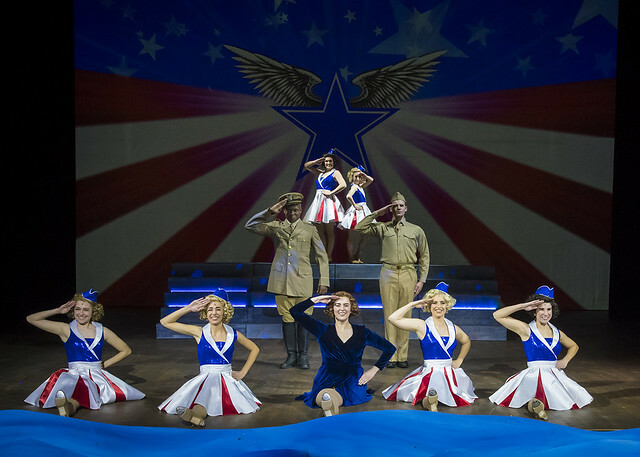 The cast includes Nikki Ahlf, Ashleigh Avalone, Diontae Black, London Carlisle, Tyler Carter, Bobby Coe, Sarah Beth Cumella, Ashley Digiovanni, Allison Dixon, Noel Dudley, Emma Fox, Jordan Gomberg, Hudson Hubbard, Grant Lackey, Holden Mathison, Zac Moss, Addison Peacock, Jessi Rogers, Lexi Scarbrough, Benjamin Strickland, Ebony Strong, Jackson Whiting, Falan-Buie Madden, Kimberly Vanderwal, Lauren Vedder, Jenna Viana, Sam Washburn, Jackson Wells, Jackson Whiting and Olivia Zeagler. “Big Fish” is suitable for family audiences (PG rating). “Big Fish” is approximately 2 hours and 30 minutes including a 10-minute intermission. 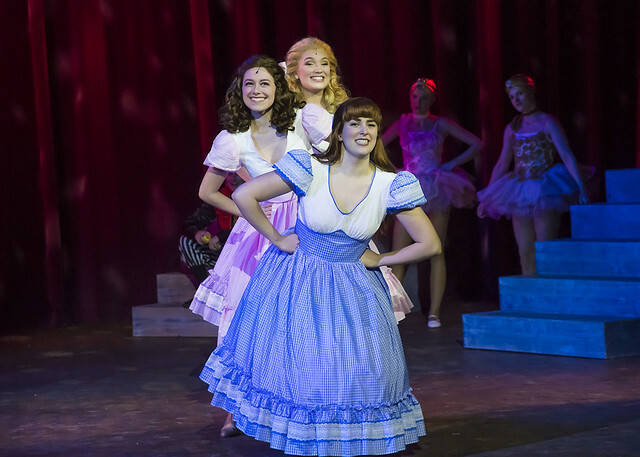 The Department of Theatre is using a new ticketing system, and features include the ability to choose seats online (for mainstage productions) and a season subscription package, along with a larger range of purchasing options. For more information, go to the Department of Theatre’s Ticketing Page. Thursday, Feb. 14 at 7:30 p.m.
Saturday, Feb. 16 at 7:30 p.m.
Sunday, Feb. 17 at 2:30 p.m.
Sunday, Feb. 24 at 2:30 p.m.
• Monday–Friday: 8 a.m.-4:45 p.m.
• On Saturday evening performances: 6-8 p.m.
• On Sunday matinees: 1-3 p.m. Call the box office at 334-844-4154. Auburn University Theatre's production of Big Fish opens Feb. 14 with performances through Feb. 24 on the Telfair Peet Main Stage.